The least cost formula for poultry feed refers to a formula that is both nutritionally and technically sound with a minimum cost of the ingredients that will be used in the poultry feeds. Using the least cost feed formulation will help keep the costs low while helping you meet the nutritional requirements of your poultry. Poultry feeding is one aspect of poultry farming that the farmer simply has to get right. Poultry feeds generally account for anywhere between 60% and 70% of the production costs and a mistake can be devastating for many farmers. The least cost formula is a way to ensure you are getting things right at optimal pricing. 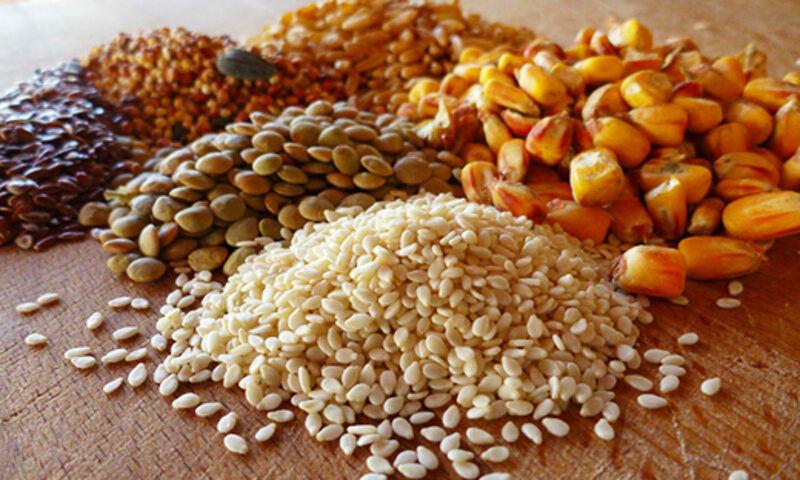 The poultry feed ingredients used in formulating poultry feeds do change frequently. The end users are not assured of a standardised poultry feed every season. Many manufacturers of poultry feeds will generally include vague descriptions of the ingredients used in formulating poultry feeds in order to obfuscate that fact. So you are unlikely to see a case where the manufacturer explicitly names the ingredients that they have used in formulating the poultry feeds. They will more likely use general terms such as “grains”, minerals etc. This vague labelling allows them to interchange the ingredients that they use in formulating the poultry feeds at will. However, the one who is likely to notice the change is a keen farmer. In many cases, a sudden change of the ingredients used in poultry feed formulation is likely to have an adverse impact on the production. Chickens, particularly, can be quite punishing when subjected to this kind of change and are unlikely to regain their erstwhile production levels before the sudden change in the ingredients used in the making the poultry feeds. For the farmer, this can have serious long term costs and will very likely have an impact on the profitability of your poultry farms. Will Least Cost Feed Formulation Save You Money? The idea of least cost formulation (LCF) is meet your target nutritional needs for your poultry at the lowest cost possible. Every poultry farm has a unique situation which necessitates the need for a specially formulated to meet their needs at the lowest cost possible. Because of the variation in the needs of the individual farmers, the formula for least cost formulation of poultry feeds does not remain the same throughout the year. It will depend throughout the year depending on the individual requirements of the farmer and the availability of the feed ingredients in the region. Poultry feed formulation or least cost formulation does not simply involve complex mathematical formulas. In a previous post on poultry feed formulation, we said that this process is both a science and an art. You might carry out excellent mathematical calculations for your feed formulations but it may be impractical based on your circumstances or the result may not be the best for ensuring your birds have optimal quality feeds. The feeds that you formulate should be palatable in order for it to stimulate intake by the targeted poultry. If the birds refuse to eat the formulation because it is not palatable, then you will have wasted a lot of money as the poultry feeds must be eaten by the birds for the food to serve its purpose. The nutrients used in the poultry feeds have to be digestible and released into the birds’ gastrointestinal tract for the nutrients to be used by the birds. The digestive system of the chickens does not generally favour food rations with high fibre content. The cost is one of the most important factors when it comes to poultry feeds formulation. Fortunately for many poultry feed producers and poultry producers, the nutrient requirements of chickens can be met by a host of combinations of various feed ingredients. When you look at the costs of all these feed ingredients, you will only need to have a single least cost formulation. The least cost feed formulation should at the end of the day ensure that the nutrient requirements of the chickens are met and that you have been able to meet your objectives when preparing your poultry feeds. Anti-nutritional factors in the poultry feeds will affect the digestion of the feeds and potentially deny the birds essential nutrients. An example of an anti-nutritional factor is the anti-trypsin that is found in soybean meal. There are various ways to control or mitigate the impact of the anti-nutritional factors in your poultry feeds that we will discuss in subsequent articles. There are certain feed ingredients which may also contain toxins. If these toxic substances are present in large amount, this could be detrimental to the health of your poultry. Where possible, limit or eliminate the inclusion in your poultry feed formulation of ingredients that may contain toxins. You should also look at factors such the texture of the feeds, moisture content as well as the kind of processing that feed will go through.